After much preparation we are super happy to announce an exciting new project from the Raspberry Pi Foundation. 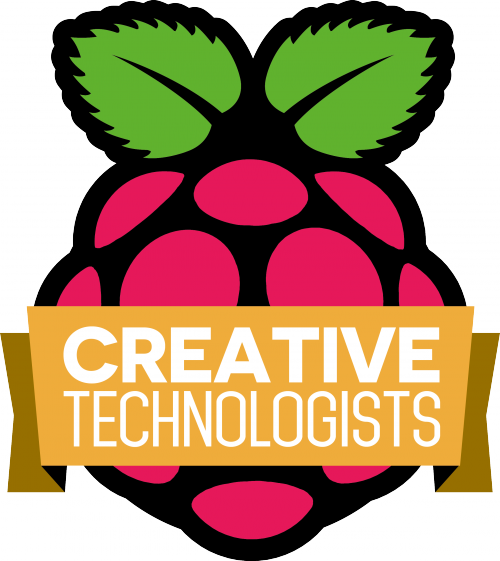 The Raspberry Pi Creative Technologists is a mentoring programme for creative people interested in technology aged 16 – 21 years old. If your passion is the creative arts, and you’re wondering how you can use technology to enhance that, this is for you. Ben and I are heading up the programme, and the first year will run from April 2015 to April 2016. We will provide individual and group mentoring via online video chats, industry networking and technical support. It’s free to participate. As well as costs of food, travel and accommodation, each participant will also receive a Raspberry Pi 2 starter kit and a £300 materials grant, and the group will receive a £1000 grant for exhibition costs. Applications are now open and the deadline is 9am on 30th March 2015. We are both certified Arts Award Gold Advisers – so participants will have the opportunity to complete Trinity College London’s Arts Award Gold accreditation; a Level 3 Award, a QCF credit value of 15, and 35 UCAS points. We will also have some amazing partners helping us out with mentoring and site visits: Victoria and Albert Museum Digital Programmes, Writers’ Centre Norwich, FutureEverything, Pimoroni, Saladhouse and Hellicar&Lewis. For full details on the programme, and how to apply, visit the new Creative Technologists page. This looks awesome. Well done for putting this together! Yay, can’t wait to see what the creative technologists produce over the year. This is a really cool program! We’re really sad to be left out of it. In the future Dexter Industries would love to participate in this sort of program! We have a lot to offer the maker community, being a maker business ourselves, and love to work with artists and students. Great! We’d love to collaborate next year. Great Ben, thanks, we can’t wait. We really would like to do more for the Raspberry Pi Foundation and with the community, Maybe we’re just at a disadvantage being across the pond. Is it only for people in Great Britain or the whole world? We will only cover travel costs within the UK. You must can be to attend UK field trips and also be willing to work with the time difference for video chats. That li9nk goes to the Pi FAQs, not the Creative ones. btw those FAQs need updating here and there, mainly to cover the A+ and V2 B+. Thanks – have fixed. I’ll bring up our out-of-date FAQs with the team. Very promising! Another great initiative. Everyone should Art. Looking forward to seeing the results and projects. I am from Bangladesh…..Can I participate in this programme? This sounds great and I hope it can be expanded Out Here to places like the Best Coast and other locales world-wide. I’m working on a time machine in all earnest now so that I can travel back to being within the 16 – 21 year-old demographic requirement for becoming a Creative Technologist. Oh, wait, that will be a world where the only integrated circuits were on NASA spacecraft and electronic calculators didn’t yet exist, let alone the Internet, the WWW, mobile phones, nor computers of _any_ fruited flavor! That will make it a bit more difficult to receive a Pi 2 starter kit (or even a 256 MB Original Flavor Pi B starter kit – would you believe a build-it-yourself SoC including hundreds of millions of discrete transistors??? :) However, here in SillyCon Valley, The Impossible just takes a little longer to accomplish than the mere day-to-day Insanely Difficult that we somehow manage to overcome on a continuing basis. Part of my job throughout the programme is trying to spot ways we can take some elements of it, build a toolkit and use that to encourage other organisations to run similar programmes worldwide. Can i attend if i am 15 and will be 16 by september this year? I’m afraid you’d have to be 16 in April 2015. This is not a one-off, though, so you should apply next year! I wonder if any of the projects will inspire educational resources for the Education Team to write up? Gonna be interesting to see what gets created! I am incredibly excited to see what they come up with. The plan is to use projects, or at least themes, that the CTs explore and turn them into free resources. I did an arty type thing with @daviddc for https://devart.withgoogle.com/ (our entry was called playful geometries and we did quite well but didn’t quite win!) It was an audio-visual-3D-world-of-linked-RaspberryPis using python. It’s all in the public domain but if anyone needs any help cannibalising any of it I’m happy to help. I always enjoy seeing Rachels name in the By-Line. Means a good post. BTW is that a “big yellow taxi in the parking lot? ?” at top right? We have an internationally renowned architect and artist husband and wife team ( Gabriel and Elizabeth Poole ) living round the back of our country town, and she did an exhibition on the very same theme where she go her vehicle resprayed yellow as part of it. You’re in good company. Yes i know about that one, and a great story too. But are you perhaps seeing a different image from where you access your server? I’m seeing a yellow delivery van at the end of an empty gravelled parking lot, and that image is next to her name in the “Posted By” panel at top right next to the Story Banner. I’d copy in the image here but the available HTML tags don’t allow for that. I can understand why. Oh yes! Looks like a yellow Scooby-Doo van – I’d never noticed it was a different image. I am messing with you guys. I recently changed it. I have made OSM maps rendered into 3D with OpenGL for a flight navigation system. Developed with Qt/C++, open source. Should be very easy to build for PI. Hi Zahid – this is going to be an annual programme, so you should look at entering next year.